Building Information Modelling (BIM) is revolutionising the way that the construction sector designs, collaborates and creates data that is valuable not only during construction, but for the lifetime of a building. The BIM process involves the generation and management of digital intelligent 3-D models, which are files that can be shared and exchanged via a CDE (common date environment). These make for more efficient ways of collaborative working at all stages of a development project. Not only does BIM cover spatial relationships, it also features aspects such as light analysis, geographic information, and the quantities and properties of a building’s components. The UK Government has set out a BIM strategy (COBie – Construction Operations Building information exchange) which requires the construction industry to achieve level 2 by 2016 for all centrally procured Government projects including new build and retained estate. This means that it will require fully collaborative 3D BIM (with all project and asset information, documentation and data being electronic) as a minimum by 2016. Most likely many private sector projects will also require the use of BIM level 2 by then. Level 2 BIM is essentially a single 3D project model with all the construction team collaborating and inputting their design information. 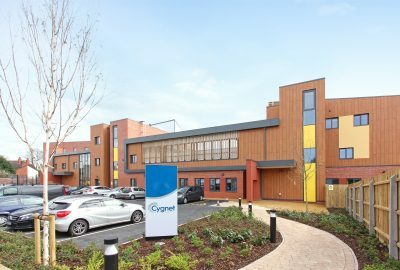 Cygnet Hospital Coventry £10 million. 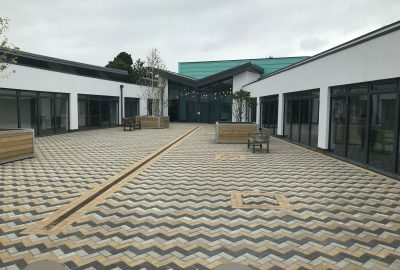 The £2.7 million revamp of The Square shopping centre in Beeston near Nottingham. BSP set the adoption of BIM as an essential goal within its business and invested in Autodesk’s Revit software in 2011. Four years down the line, BSP is in a position where it is prepared, organised and ready to deliver BIM projects. We have now established a REVIT drawing system which includes templates, standard details and drawing protocols. Modelling is carried out to the level of detail required to produce accurate plans and elevations at the defined scale, and specifications as required. All data is produced and named based on the AEC (UK) BIM Protocols. The company also uses ISM (integrated structural modelling) which links structural design packages like Tekla with Revit. If you wish to discuss BIM projects or how the use of Revit software can save you time and money, please contact Dan Hinchley (BIM Manager) d.hinchley@bsp-consulting.co.uk or Carl Hilton (BSP Director) c.hilton@bsp-consulting.co.uk or call either of them on 0115 8402227.